Two well established brand name Fast Food Franchises for the price of one, Drive through Mexican and Sub Franchise. Extraordinary opportunity to acquire 2 existing fast food franchises in the Okanagan of BC. Owner decided it is time to retire and both businesses are listed as a ?package deal?. Stores are positioned side by side in a high traffic, high visibility location in a prime shopping area. Strip mall location with easy access and ample parking. Opportunity to reduce operating costs, admin, staffing, etc., as businesses are adjacent to each other. Both operations are very clean. The restaurant industry is hot, with more money spent in restaurants, and less on in-home eating every year. Great opportunity to acquire two established businesses. 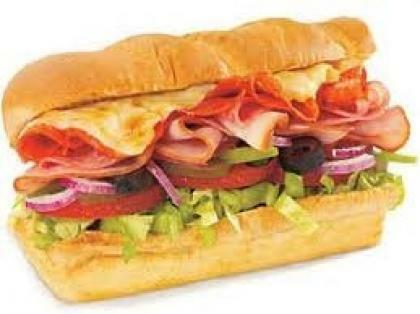 Sub Franchise: Is one of the largest and leading sub-sandwich franchises. It has brand-power and an amazing collection of chef-inspired recipes using high-quality ingredients to create subs, signature soups and fresh salads that are a cut above the rest. Great menu and value as well as great taste. Comprehensive, award-winning training programs provide specific tools and skills for success. This bright little gem has been open for seven years and has been newly renovated in the past year. Mexican franchise: Great profitable business with drive through window. An upscale quick service restaurant chain that specializes in freshly prepared home-style Mexican fare. High quality fresh ingredients go into burritos, enchiladas, tacos and empanadas. Considered a leader in the healthy and fast growing Mexican quick service restaurant industry, this proven brand with solid brand awareness is constantly moving forward in new ways to grow and meet the ever changing demands of customers. Store has been operating for the last 17 years and the last 10 years in its current location. This is a very good price for an established fast food business franchise in a great location! Summary: The set up cost, franchise fees and leasehold improvements, to start either one of these stores would be over $300,000 each. This is an outstanding opportunity to acquire both existing and operating businesses for $319.995.